We recently hit 1000 likes on our Facebook page and to thank you we are offering up a great Giveaway!! A huge thank you to all our blog followers, Facebook friends/likes, and all our twitter friends. We love Disney, the Disney Community, and the fact that we get to share Disney with you DayByDay….. Now onto the giveaway, one lucky winner will win the two prizes below, Good Luck! The Pin and Vinyl you can win! A close up of the pin you can win! Yay! I’m the first! Love Disney Day By Day and Love this giveaway! Thanks! Awesome! Thanks and Good Luck! Spring is my favorite season! My plans this year are to finish my grad classes and Disney makes me smile. Disney makes us smile as well. Best of luck on your grad classes! I love spring because I can break out new clothes and new activities, like running outside instead of at the gym! It’s already been a busy year! I can’t believe April’s almost over! We’ve had a lot of baseball (both my boys play) and gymnastics and friend time and family time, but of course, the highlight of our year will come in September when we return “home” to Walt Disney World! Can’t wait! Congratulations on reaching 1,000 fans! Oh no, sorry to hear that. Good Luck! I like spring because here in Florida it is the last of the nice weather before it gets dreadfully hot. This spring I hope to get my new office set up! I love spring, because here in the Southwest the summers are hot, so I usually do gardening and we play outside as much as possible. Our big plans this year? Not sure,,,, will have the kids home in the summer and are planning a 1-2 day solar space camp, so that will be fun! My birthday is the first day of spring. It finally hit me (after 43 years of life) that it is probably an internal thing in me that makes me dislike winter so much! I love spring because it brings with it the promise of new life. One of my favorite parks of spring is seeing the grass become green again and the little buds popping up on the trees. In fact, I was outside just yesterday, taking pictures of this very thing! I look at spring as a time for new growth and new beginnings. One of my favorite things is being able to open the windows and let the breeze come in. We haven’t been able to enjoy that much here in VA just yet. Spring makes me think Disney- I’ve gone in spring the past several years. Not this year, though! 🙁 I have to find a way to change that! I live in the Northeast. After a long, snowy winter I love those early spring mornings when you walk out the door and the sun is shining on the dew and the air smells of “DIsney” early in the morning! Well, we’ll be having our 4th baby in November, so I’ll be living it up with my 3 kiddos until then! Spring makes me think of pretty flowers, green grass, spring air, and birds chirping. We’re going to the last week of F&G! 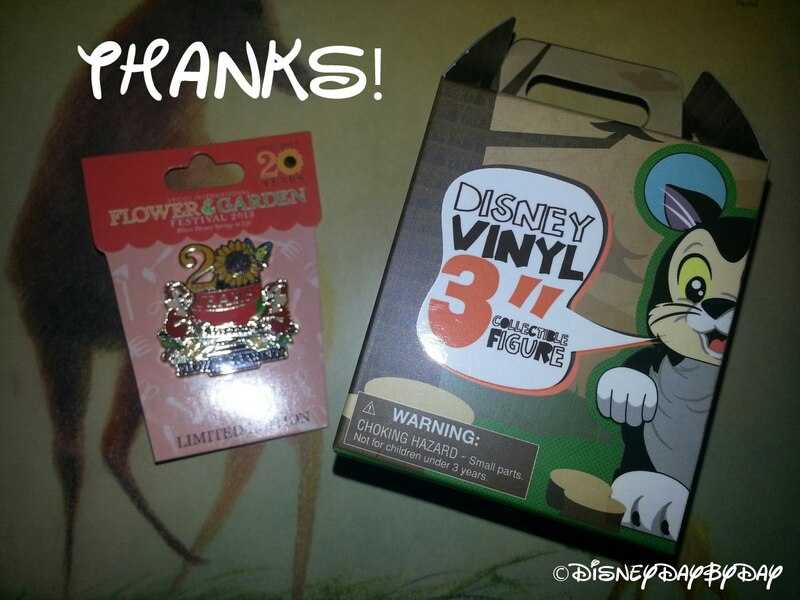 Spring is springing finally here in NJ.Thanks so much for the great giveaway! 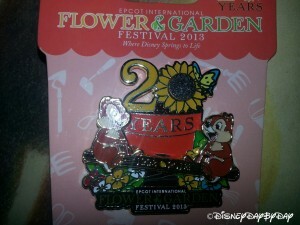 Love the pin (20 years… wow! ); congrats on 1000 fans. Good luck to all in the giveaway! No big plans this year 🙁 But I love working in our garden and watching the flowers grow so I will spend a lot of time working on that this year 🙂 Thanks for the chance at a great giveaway! 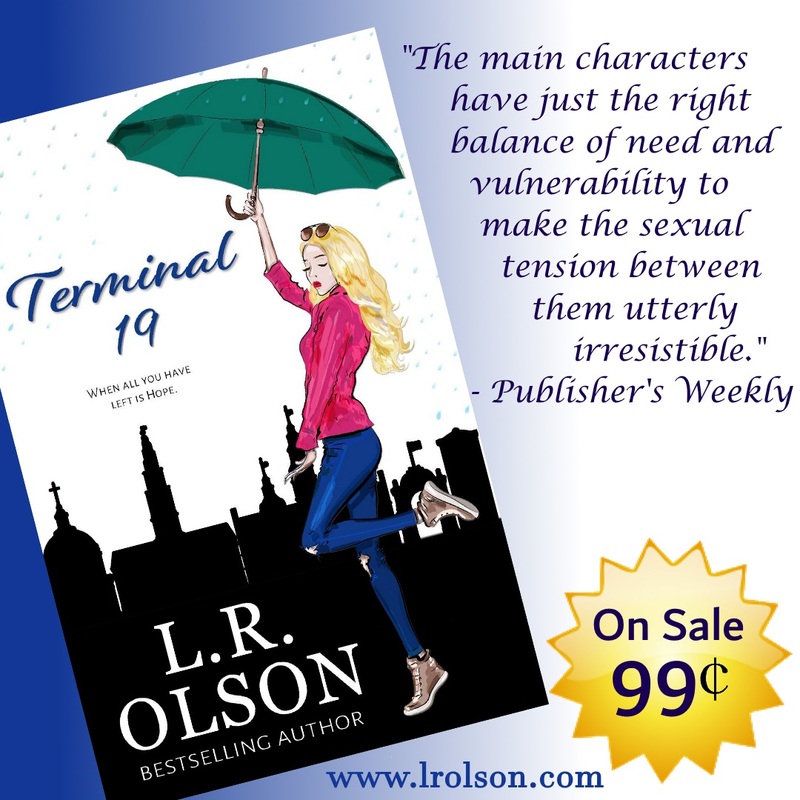 shared on FB – love the giveaway! Awesome – have a great time! Temporary Tourist sent me 🙂 Our plans for the summer are to get our house ready to sell so we can move to Orlando. Whoo hooo – have a great time! I leave for WDW in 15 days and I cannot wait!! I plan on growing a garden. I love spring. One of my favorite things is the first few times you can open all the windows and doors and let the new season in. I love opening the windows on a nice spring day!! We are planning our vegetable garden and a deck on the back of the house to enjoy our view…i love spring. Awesome giveaway! Memories of Disney trips past and future ones to come make me smile 🙂 It is after all, my Happy Place ♥♥ One plan I have for this year is to enhance my own blog a bit. I have been working on a logo and have my ticket for a great blogger conference this fall!! We have plans to travel more with our family this year and get out to enjoy nature! I am retiring the end of June Yahoo. My husband retired the end of Jan. so we plan to spend our spare time camping. Oh my, I can’t wait to work in my flower beds. I really want to plant some rose bushes with an archway this year. I love spending time in the garden during spring. The feel of the spring breeze is refreshing. We have a new baby coming this summer – the best of new beginnings! The main things that make me smile is my kids! I just had a baby boy in January and I am super excited about spending summer watching him grow and become more active. He should be sitting up on his own and maybe starting to crawl by July. Can’t wait! I will be moving in with and marrying my best friend and fiancé this year! He makes me smile daily! I am looking forward to a family reunion this year and a wedding reception for my nephew….old friends and a new life together! We are going to take a week vacation this year, first in 4 years! hanging out with my family makes me smile. My baby makes me smile every day as she learns and discovers the things around her. Our family is going to start our first garden! i cant wait for my garden to bloom!! !